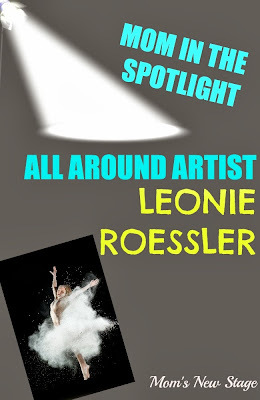 Leonie Roessler was born in the Ruhrgebiet area in Germany and grew up there playing the recorder and the piano. She relocated suburban Southern California when she was 16 years old, moved a couple of times, and ended up in Los Angeles soon thereafter. Leonie studied classical guitar at Los Angeles City College, where she was awarded several scholarships, and earned her Associates Degree in Music there, along with Commercial Certificates for Guitar and Piano Performance. After an intermission of several months in San Jose, Costa Rica, Leonie returned to Los Angeles to study composition at California State University Northridge with Dr. Liviu Marinescu, as well as modern dance with Paula Thomson and Donna Krasnow. She received her Bachelor Degree in Composition along with a minor in dance performance in May 2010. 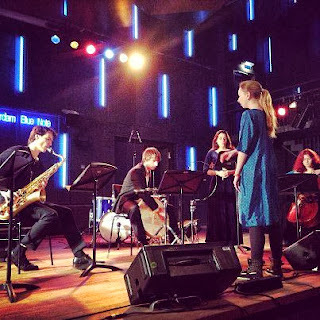 In 2013 Leonie earned her Master's Degree in Composition at the Royal Conservatoire in Den Haag, where she studied with Calliope Tsoupaki and Peter Adriaansz. During her time as a master student she was also enrolled in the "Contemporary Music through Non-Western Techniques" Program at the Conservatory of Amsterdam, where she studied Karnatic Music and composition with Rafael Reina. 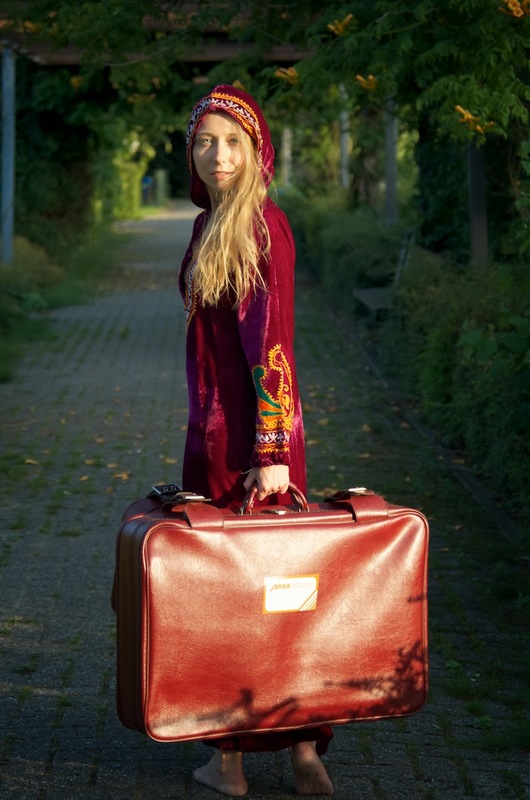 Apart from working as a an assistant photographer and model, Leonie is composing for a commission for UNEVEN dance festival, preparing concerts for the coming season, and studying --among other things-- electronic music technology and algorithmic programming as part of the one-year course in Sonology at the Royal Conservatory in Den Haag, Netherlands. To visit more with Leonie, check her out on her website, on Facebook and on Soundcloud. My son is two-and-a-half years old. How do you stay viable as an artist? How do you stay true to what you need and what feeds you? My insane discipline coupled with a fear of failure allow me to complete any project even if I totally burn out. I am a perfectionist and give everything once I have started something. That's great for the product, but not so great for me as a human at times. I love music and art so much that it always seems worth the sacrifice, but I also know that I have to still learn to be just a bit kinder and gentler to myself. I have not found the right balance yet. What do you see as some of the main differences parenting in the U.S., as opposed to Europe and Costa Rica? I have actually not lived in the United States with my son, even though he was conceived in LA. However, I observed the way people deal with kids when I lived there. One of the biggest differences I noticed is the way gender roles are imposed very strictly on children from birth on, with the way they dress them, princess-themed parties, gender-restricted activities and so on. Things are more open here, and homosexuality, gender-diversity, religions, and different cultures are taught as part of "diversity-studies" in elementary schools already. My son is crazy about anything pink, and I am glad that that is not a big deal to anyone. I can allow him to pick the things he likes, to let him develop his own taste without worrying that he'll be made fun of or mobbed by kids or parents at the daycare or on the playground. When living in Costa Rica (also without a child yet), I noticed how extremely gentle and loving people are towards children. Family is incredibly important there, and I could not get over the fact that in all the months I spent in San Jose, I did not once hear an annoyed parent raise their voice at a child. It was wonderful. What do you hope to have figured out in 10 years? How does your work as an artist play into how you parent? On the one hand I need a good amount of time away from my family to be productive, so I have to operate on a very tight schedule to make sure I get everything done without neglecting my family. On the other hand my husband (who is singer-songwriter and bandleader) and I try to integrate Miles and let him see lots of music and art. At times we schedule rehearsals at home during the daytime. Then he grabs his little chair and his ukelele and just plays along to whatever is being rehearsed. Music and dance are just naturally part of his life. You are starting a personal training business, I understand. What is it like starting a business with the extra pull of being a parent? It's just another thing that I somehow have to fit into my schedule. I have so much freelance work at the moment that I am simply preparing everything to launch this business in case I face a time where projects and money run out. A safe plan B you might say. What is your best why-me, hold-my-head-in-my-hands parenting tale? To be honest, I don't think I have ever had a "Why-me"- moment in my life. Things go wrong in life, and that is already the answer to that question. Why not me? Why anyone else? My life has not been easy, but I have always appreciated the fact, that even as severely broke artists in the Western World, I was still among the richest 5 percent of people on the planet. We have everything, even much more than we need and should have. Of course I have incredibly tiring days, weeks, months with my kid. After yet another tantrum, I think of those moms with autistic kids who are facing these situations not as part of a phase, but for years and years to come. Do I still lose my patience? Of course, but I really don't like myself when I do. What is a guilty pleasure of yours? Something seemingly out of character that you can't do without? One secret cigarette right before bed-time. If you could have a real heart-to-heart conversation with yourself at any age, what age would that be? What would you say or ask? I think I would have talked to myself at about age 12 or 13. I would have told myself that I could make it as a musician and artist, that I have enough talent, enough drive. It took me a long time to figure that out, and to develop any sort of confidence as an artist. Can you share a favorite memory with your kid(s) and/or one of their fabulously clever statements? Advice for moms in the arts? You can totally have a career in the arts and be a mom or dad, but you might have to live outside the box to deal with the situation financially. We share our small apartment with a roommate (we are renting our son's room out and have him basically still with us in the bedroom) and my husband has hit the streets with his guitar for extra cash here and there. You have to be bold and inventive and not tied to society's expectations of how you should live at a given age or stage in your life. As long as your kids are safe and happy, all is well.